Microsoft is holding a Surface press event right now. We reckon we'll see some new Surface devices and more and obviously we'll bring you full coverage. Also follow all the latest from @Surface and @Microsoft on Twitter. We know Microsoft definitely won't be updating its Microsoft Band 2 wearable. Sadly it appears Microsoft just didn't sell many and won't do another. That's disappointing but given wearable sales generally, it's not a huge surprise. Microsoft will surely debut off an update to its Intel Atom-based Surface 3 and probably a successor to Surface Pro 4 - Surface 5 and Surface Pro 6 anyone? What's not so clear is whether we'll (ever) get a Surface Phone. This may get a mention at the event, to keep us hanging in there, but it likely won't make an appearance until 2017. And that has to come with the caveat that it might never happen at all - Microsoft has been badly stung by losses from its mobile division and the failed acquisition of Nokia, which has cost it billions in written-off cash. We'll surely see an update of last year's award-winning Surface Book - probably called Surface Book 2! Microsoft had better be going for USB-C with this one, that's all we can say. Third-party manufacturers are also expected to get a big chunk of time at the event where their own devices will be shown off. So expect to see plenty of non-Microsoft laptops, 2 in 1s and tablets as well. 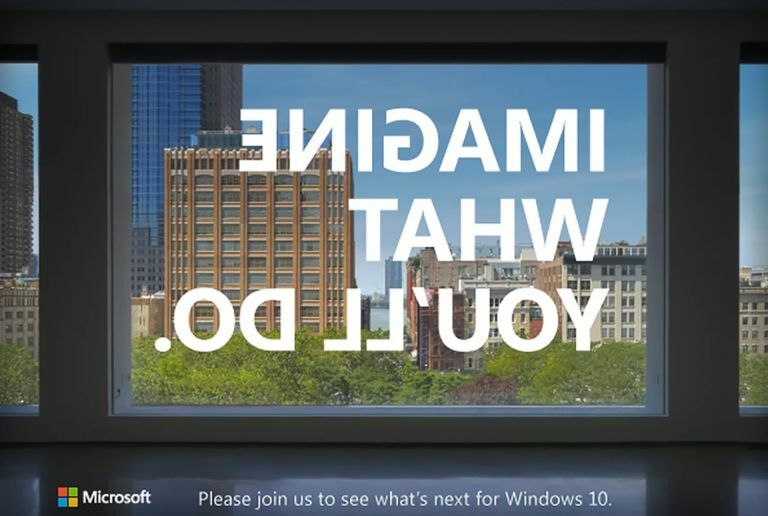 Microsoft is expected to show off three new all-in-one desktop PCs running Windows 10, codenamed Cardinal. These are expected to come in 21, 24 and 27-inch sizes - almost consumer friendly versions of Microsoft's Surface Hub. They'll probably feature the same Perceptive Pixel screen tech for easier collaboration. Clearly Microsoft thinks it can differentiate in all areas of flagship hardware after the success of other recent Surface devices. Yup, Microsoft is reportedly going to be unveiling its very own Surface keyboard and mouse. No doubt, after seeing how popular Apple's sleek wireless mouse and keyboard are, Microsoft will be offering something similar. While sources suggest there will almost certainly be some gaming related announcements at the event, a Windows 10 update may be less set in stone. Rumours suggest we could hear more about the Windows 10 Redstone 2 update since the theme of the event is “the next chapter in the Windows story”. But how much detail we get remains to be seen. And we might also get an update on the progress of Hololens after its recent announcement of UK availability. Like this? Check out What is Oculus Santa Cruz and how will it change VR?